If there’s one thing you have to learn to appreciate living in England, it’s that the weather can be incredibly unpredictable. Just as you think Spring is around the corner and the winter a distant memory, it’s very possible for the weather to turn on it’s head and deliver the coldest and wildest of the Winter. It wasn’t all that much of a surprise therefore when I looked out of my window last Wednesday to see that the freshly budded snowdrops were covered in a couple of inches of fresh snow! Plans quickly changed and I found a few local families that were happy to make the most of the weather with a snow themed photoshoot. 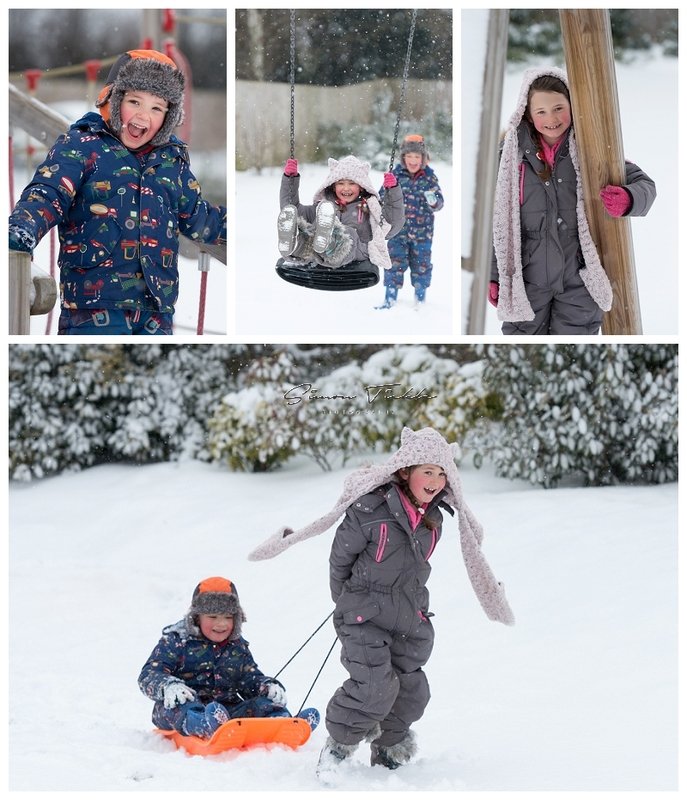 If there’s one thing that kids really really love it has to be a good snowfall. The excitement on their faces, the urge to jump around & build snowmen, kids being kids and having fun. There’s so many lovely images from this session, but here’s just a few. If you’d like more information on my family and child portrait sessions in Mansfield, why not send me an email? I can’t guarantee there will be lots of snow, but I can guarantee you’ll have loads of fun and leave with lots of beautiful memories to treasure.